Bratislava is the capital of Slovakia, and the country’s largest city. Bratislava is the political, cultural and economic centre of Slovakia. It is the seat of the Slovak president, the parliament and the Slovak Executive. It is home to several universities, museums, theatres, galleries and other important cultural and educational institutions. Bratislava is in southwestern Slovakia, occupying both banks of the River Danube and the left bank of the River Morava. Bordering Austria and Hungary, it is the only national capital that borders two sovereign states. 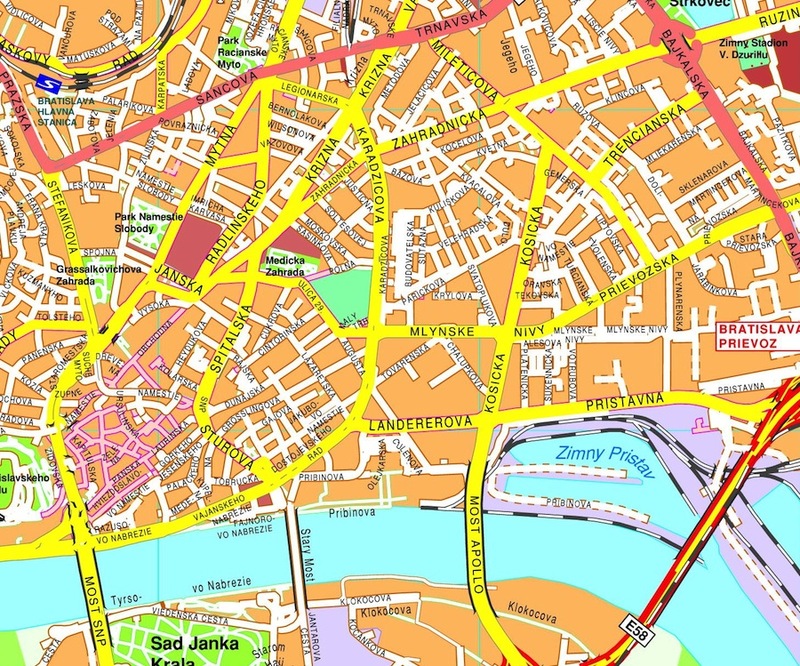 We have two vector maps of Bratislava available in our website. 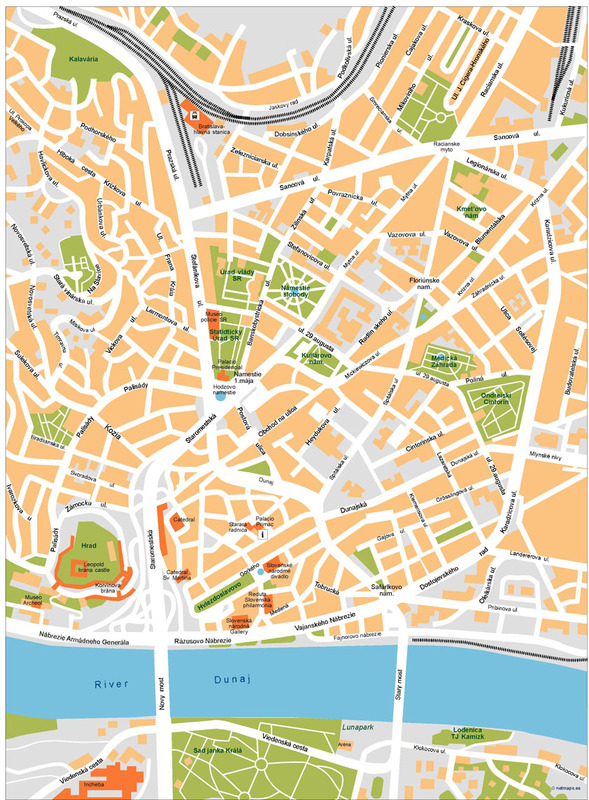 One is our city center, street map detailed, ideal for publishing or touristic projects. Map os fully editable as illustrator file, layer structured. You can change any name or color. Secondly we have our complete city of Bratislava and their area. 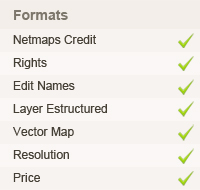 It is a full vector map. 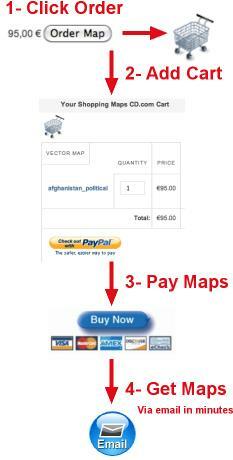 Map is also ready to be downloaded as vector illustrator EPS file.